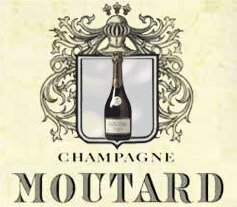 The Moutard-Diligent family can trace its roots in Champagne back to 1642, and its vinegrowing history spans centuries. The family first produced Champagne under its own name in the 1920s, and today farms its own vineyards in the Côte des Bar and buys grapes from other local growers. Their fascinating line-up of wines includes the “Cuvée des 6 Cépages”, made using varieties like Arbane, Petit Meslier and Pinot Blanc that are permitted, yet rarely seen in Champagne. I have to say I was very impressed by this range – these are very softly-styled, easy going wines that some may find lack a little austerity, but for me it was just a delicious line-up of wines that were fruity, well-balanced and particularly enjoyable to drink. UK importer is Hallgarten (+44 (0)1582 722538). See all UK stockists of Moutard on wine-searcher.com.